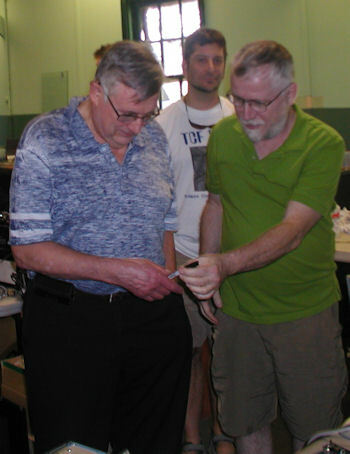 Pioneering microcomputer advocate and engineer Lee Felsenstein paid us a visit at our most recent MARCH club event June 30 / July 1st 2012. That's me in the middle. Click image for larger view. This is a picture of the vintage tech we have on display at my repair shop in Wilmington. 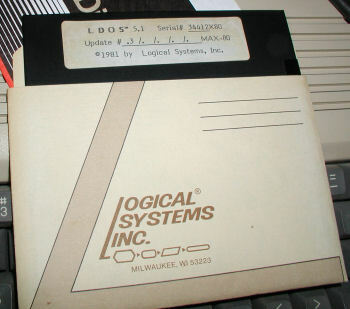 IBM CP/M-86 v. 1.0 boot screen. Click image for larger view. 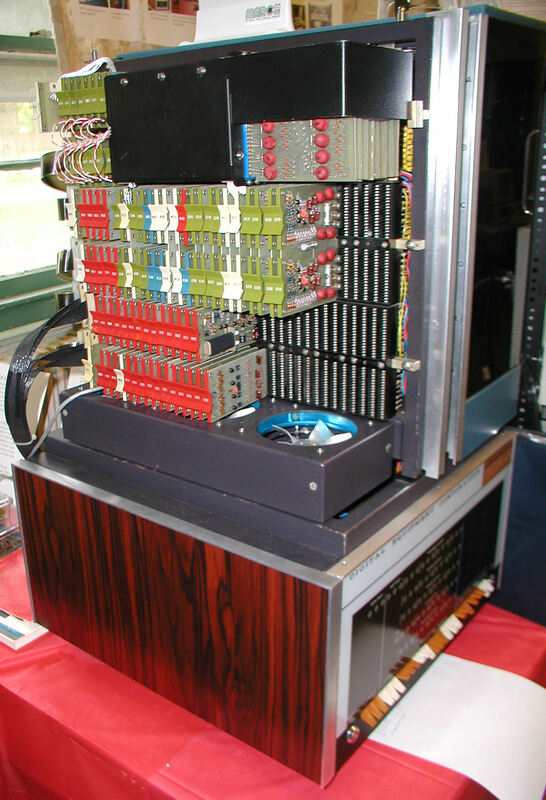 The original Apple ][ e computer. 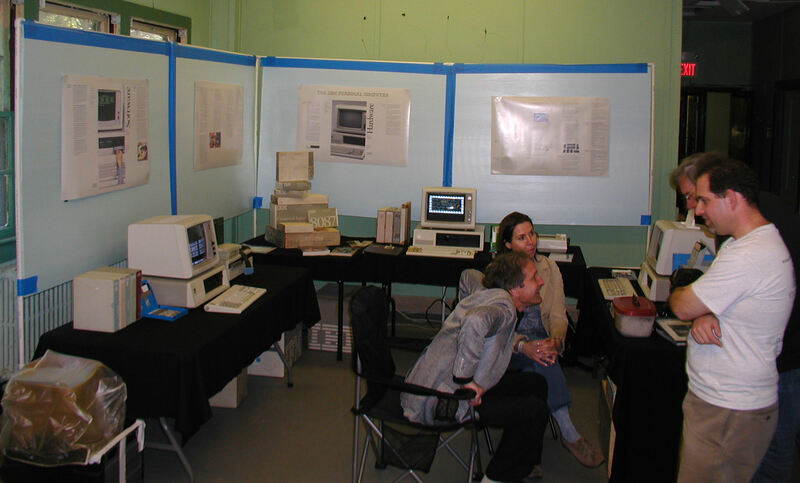 Not much to say here, this is the original version of the Apple IIe, and this particular unit has a 64K card. 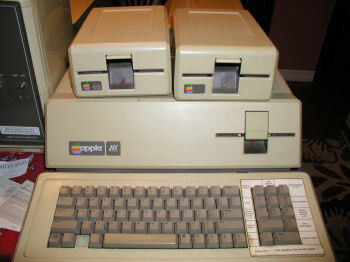 I spent some time working through the 7 or so Apple IIe's I have, some need work. I'd like to get this one running with the Microsoft Softcard, so that I can run CP/M. 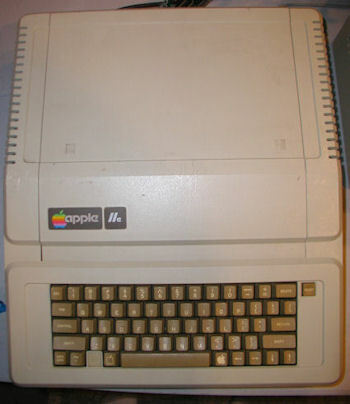 The Apple III Plus Computer. 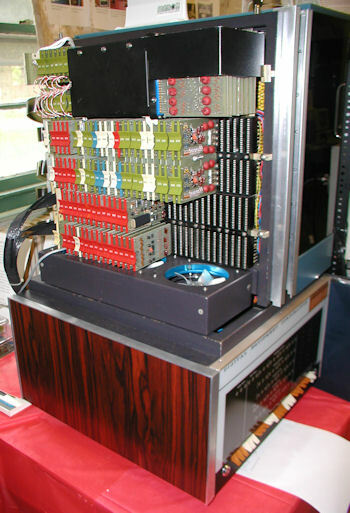 This unit is configured to use three drives. 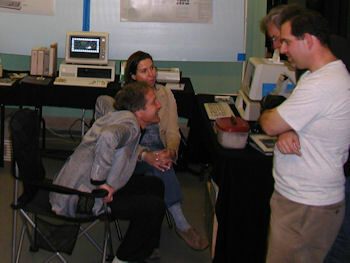 The highlight of the 2012 Vintage Computer Festival East 8.0 was this beautifully restored original PDP 8 computer. 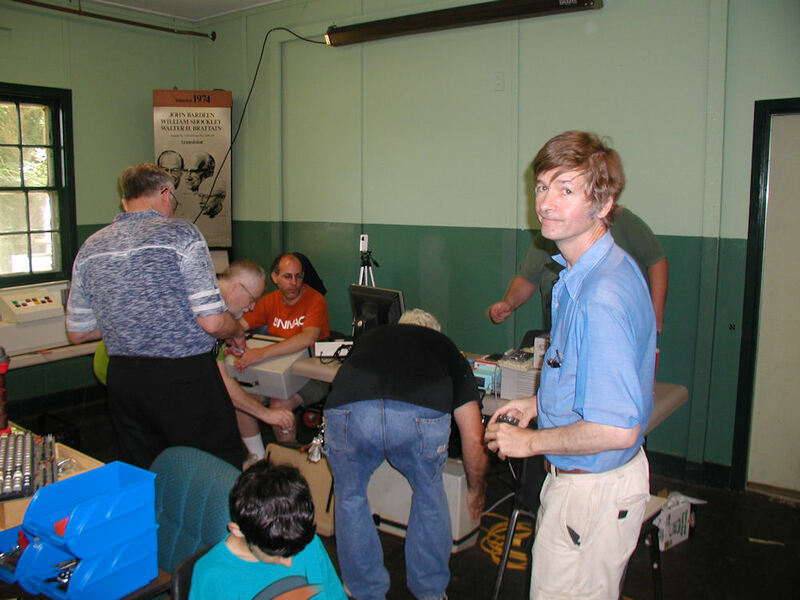 David Geeswein is the exhibitor and he demonstrated to onlookers how to load programs from papertape and interface the PDP 8 with an oscilloscope. Click image for larger view. I wanted to see if I could do more than boot my MAX 80 using LDOS 5.1.3. 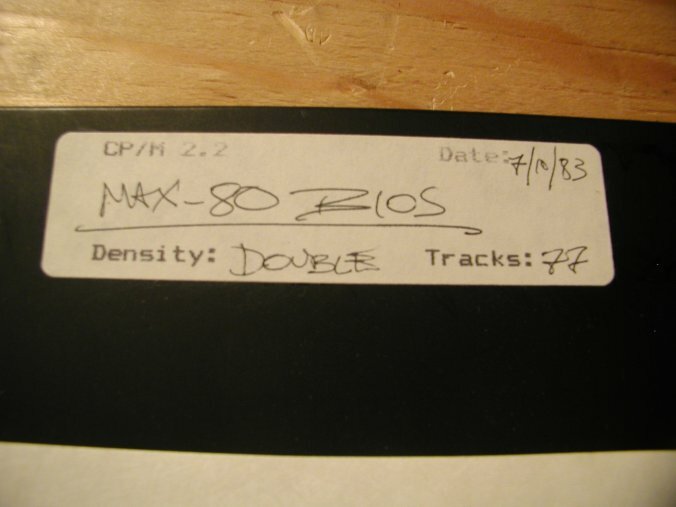 A Lobo Max 80 with a Lobo twin 8" drive, TRS 80 5Meg hard drive, and a set of Percom double density drives all attached to the back of the computer. The system is booting off the Percom drives using LDOS 5.1.3. 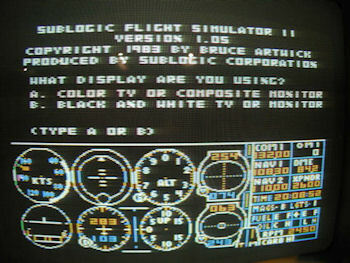 Click image for larger image. Close up of the drives.